Bored of the same old skirt style? Break out of the mold with the Perimeter skirt! This easy to knit, easy to wear skirt is knit in a continuous strip that winds around the body and creates an A-line shape. Flowy, carefree hemp yarn provides tons of drape and style. The elastic waistband feels great and looks great, too! Wear it with tights in the winter or let your legs free in the summer. The Perimeter skirt goes anywhere you do! Waist is elastic and can be adjusted. Sizing is flexible; try on the skirt as you go! 5 (6, 7, 8, 10) skeins. Note that this yarn changes character significantly after machine washing and drying, becoming much softer and more fluid. It also grows considerably, so make a generous swatch and wash it in the machine before starting this project. 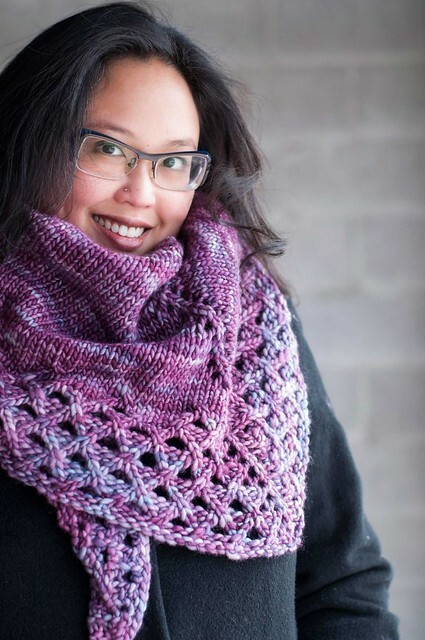 If substituting wool, choose a light worsted or worsted weight yarn with good drape. 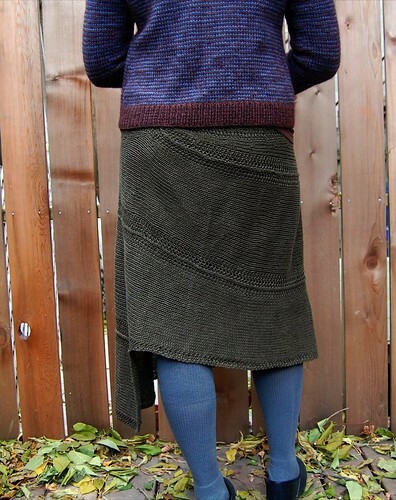 A version of this skirt in wool will be much more elastic. 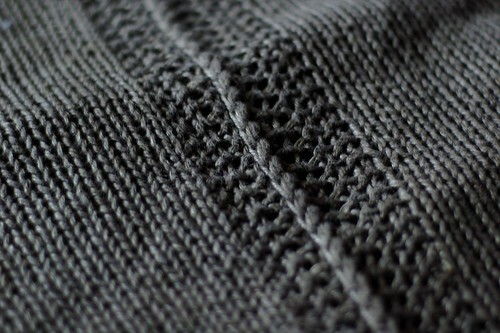 20 stitches and 28 rows = 4" / 10cm square in Stockinette stitch on US 6 / 4mm needles.